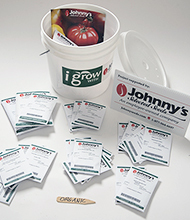 Each year Johnny's contributes to a range of educational, agricultural, and horticultural programs and events, as well as local community projects. 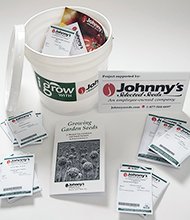 Each year, Johnny's Selected Seeds additionally provides financial support to national and local agricultural, educational, and horticultural programs, events, and efforts in service to our mission. 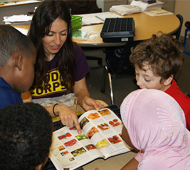 Educating people, teaching growing or farming practices and techniques for long-term impact (e.g., schools, agricultural workshops, community programs). Providing locally-grown produce to communities by working with communities to grow produce to feed themselves. Supporting and promoting healthy eating habits. Protecting seed diversity and breeding work. Supporting organic and sustainable growing practices and techniques. Other appropriate agricultural or horticultural programs or efforts. Johnny's Charitable Giving program is unable to fulfill requests to apply credit to any previously or separately submitted product orders. Growing Garden Seeds, written by our Founder, Robert Johnston. Specifically for schools: gardens, greenhouses, educational purposes, etc. 32 Easy-to-Grow Varieties, all Certified-Organic. Specifically for organizations that are certified-organic or looking for strictly organic items. 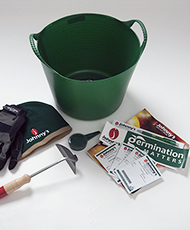 Hand Hoe, Garden Gloves, Johnny's Winter Beanie, Small Gorilla Tub, Seed Sower Planter, and 4 packets of Johnny's-Exclusive Vegetable Seeds. Specifically for organizations that are holding silent auctions, to use as a door prize, to help raise funds for organizations that align with our mission. Please complete and submit our Donation Request Form. Be sure to detail your cause as clearly and thoroughly as possible. Within the form, describe your organization, project, or program and its purpose or goal. Include your website and/or any social media sites you maintain. Please ensure that your application is complete upon submission. An incomplete application or the failure to provide sufficiently supportive documentation may result in disqualification of consideration. If you have questions, or a highly time-sensitive request that you would like us to consider, please contact us at charitablegiving@johnnyseeds.com. Donation requests are reviewed quarterly each calendar year. We recommend you provide ample lead time in advance of your project or event. 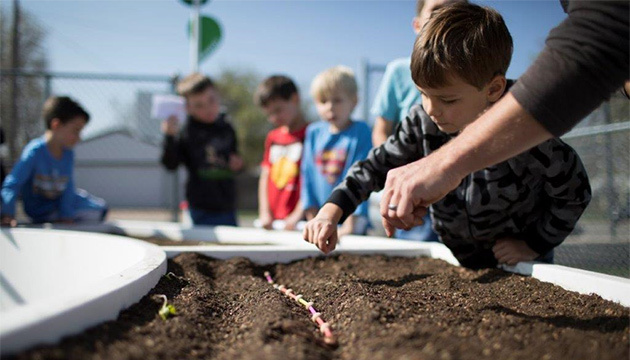 Johnny's collaborates in local, national, and international efforts that contribute to agricultural education, provide produce to local communities, and support healthy eating habits as well as sustainable horticultural programs.